It's like Front Row Concert Seats ! Sweeping Ocean Views from this lovely 2 bedroom 2 bath Corner unit in the Historic Villa Riviera Stunning & Panoramic Ocean & City Views from every room unit in the Historic and Iconic Villa Riviera Condo. Views abound including Ocean, Marina, Catalina, Queen Mary and even partial City Light Views! You won't be disappointed Original Deco tiles in one bath including pedestal sinks and Sloane commode Plaster walls and high coved ceilings add warmth and panache. 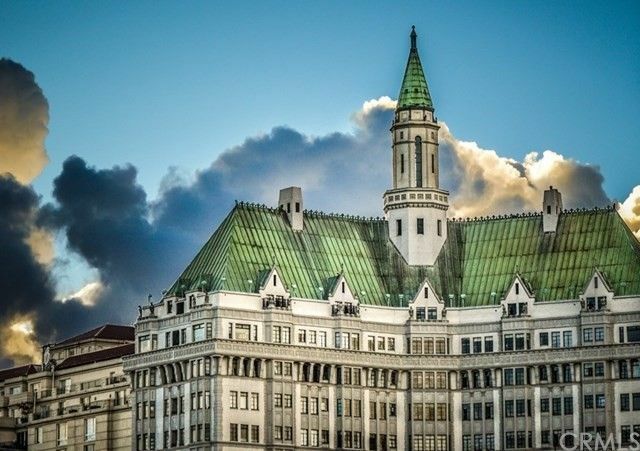 The Villa Riviera is on the National Register of Historic Places and is the Iconic landmark of Long Beach with many accolades & preservation awards throughout the years. The unit is on the Mills Act which allows for substantial tax savings. ALL utilities are included in the HOA fees as well as Cable TV & Internet. The walkabout score is in the 90's as residents enjoy walks and strolls to many venues such as shops, restaurants coffee houses & wine bars. Enjoy an Art Walk in the East Village just a stroll away from the building's front door or to the Performing Arts, Movies, Shoreline Village, Aquarium of the Pacific or take your feet or your bike along the 7 mile bike path!